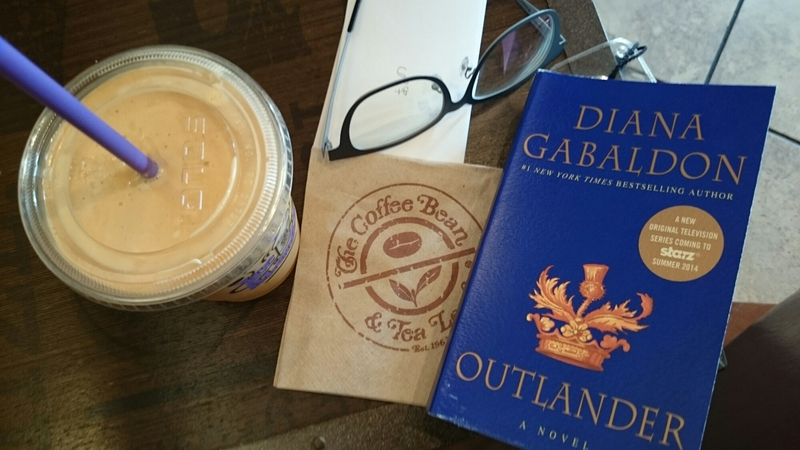 Some pumpkin spice from The Coffee Bean (which by the way is delicious) and my Outlander book by Diana Gabaldon. I’m an enthusiastic reader so I thought I could add this to my blogging repertoire. So far, so very good. This book was published in 1991 and I’m a little late to the game, but good books are timeless and I happen to like this book, insofar as up to the point that I’ve read. Any bibliophiles out there? Ever been reading a book and got lost in it? I know I have. Just the other day I was watering my plants when I started thinking of a TV show, vivid images, as if I had previously watched the episode the other night. I thought to myself, “what’s the name of the show?” In actuality, it was what I READ the other night. I love how reading lets your mind and imagination go wild! As soon as I’m finished reading this book I look forward to sharing my thoughts on it with all of you.